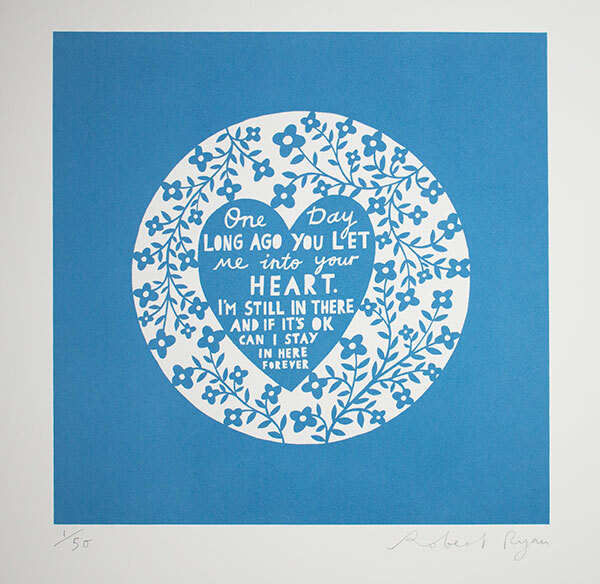 One colour screen print in soft blue. ‘One day long ago you let me into your heart. I’m still in there and if it’s ok can I stay in here forever’. Paper size is 50 x 38 cm approx. Print size is 27 x 27 cm approx.